3/10/2012- The Roswell Invaders have released their 2012 uniforms. 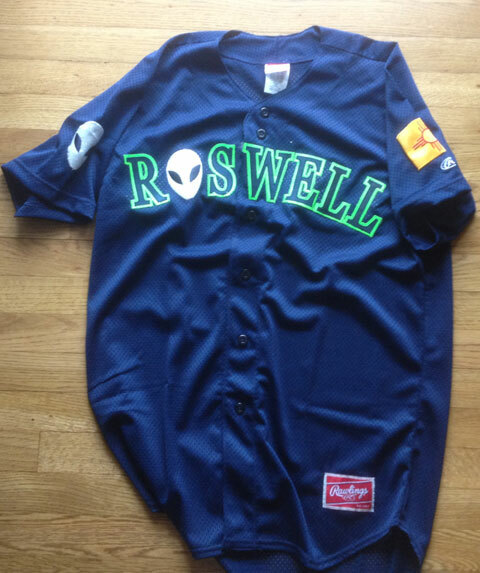 Both can bought in the Roswell Invaders Store. They will wear two jerseys Lime and Navy. The Lime jersey will be the primary jersey. It will again be the top seller in the Pecos League. It will be very similar to their 2011 jersey just with additional patches. The Lime Jersey will feature the following five patches. Fans can custom order their size and numbers. The State of New Mexico Flag, Roswell Toyota, Pioneer Bank, The Pecos League and the 2012 Pecos League Champions.